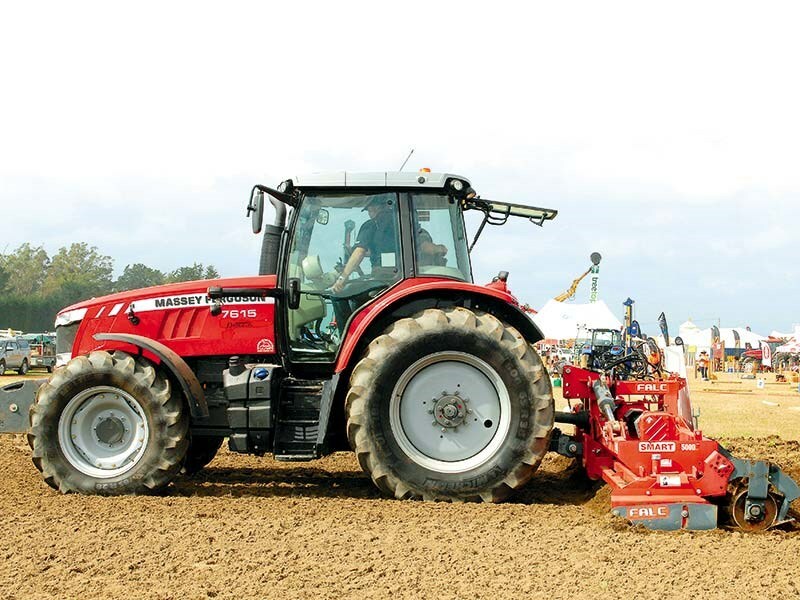 The Massey Ferguson 7615 Dyna 6 was the clear winner of this year’s Top Tractor Shoot Out, despite the calibre of entrants and highly competitive line-up. 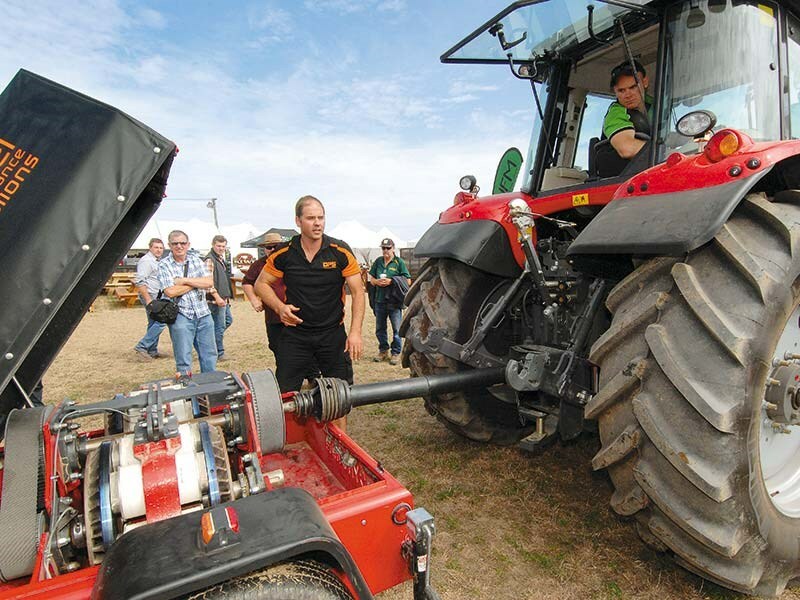 There are a number of reasons why the judges unanimously decided on the 7615 as the Top Tractor Shoot Out 2015 winner. 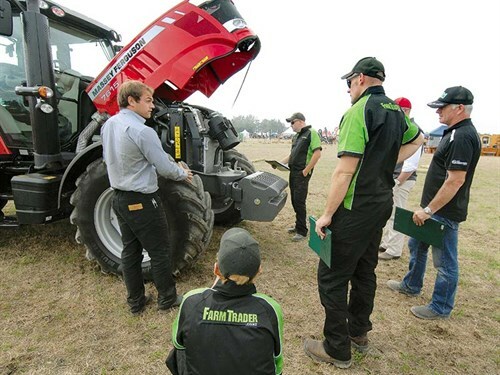 We were looking for the best value for money tractor under $140,000 and all things considered, we are convinced this is it. 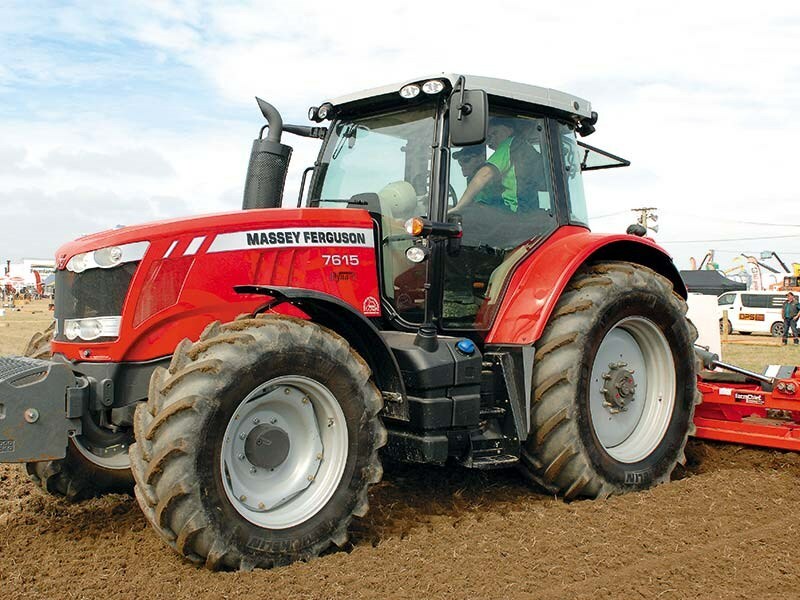 The Massey Ferguson 7615 Dyna 6 is a good looking, well designed tractor, with many features which we did not take full advantage of on the day. 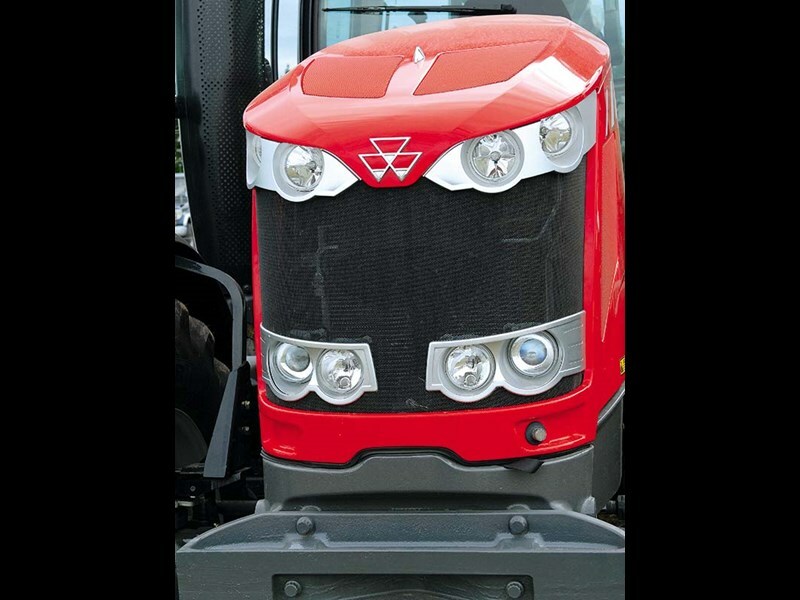 However, there is no doubt that it stood out from the crowd in terms of individual customisation, particularly of transmission and hydraulic settings all combined in a comfortable, well refined cab. 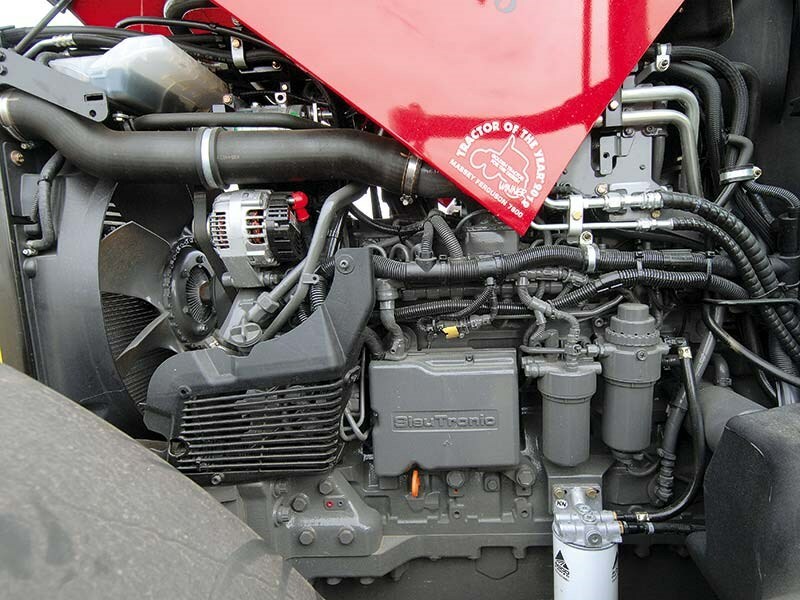 As in every other Top Tractor Shoot Out we have held, the Massey Ferguson entrant has always dyno'd very close to its max rated power and the 7615 did not disappoint, with a healthy 145hp Dyno result. The power comes from the Finnish-made SISU 6.6L, six cylinder four valve engine which is turbo charged, and intercooled. The SISU power plant meets EU legislation Stage 3B (Tier 4i) using SCR with AdBlue. This impressed all four judges, both in ease of servicing and innovation. Vital parts are more likely to be checked on a daily basis, because it is easy to do so. When coupled with 500hr engine and 1500hr transmission service intervals, this is likely to keep the cost of ownership down. The Dyna 6 has a user-friendly transmission that gives 24 speeds with six speeds in four ranges. There are a number of different settings for the transmission which are very nifty, although this does take some homework. Having said that, all the automation can be turned off and driven like any other normal semi power shift transmission, all without having to touch the clutch. The six pillar cab was well laid out, bright and comfortable. Large wing mirrors aid rear visibility and smaller doors would play less havoc in the wind. You sit high over the top of the bonnet, which slopes away quickly. The armrest controls in the Massey were very easy to use and, on the outside, a full light package of 12 work lights is standard with six on front, six on back. Adjustable two point cab suspension was fitted to our test machine and, although it wasn't the best there, it did still provide a very comfortable ride. The key point with the controls on the 7615 is flexibility to suit different applications. 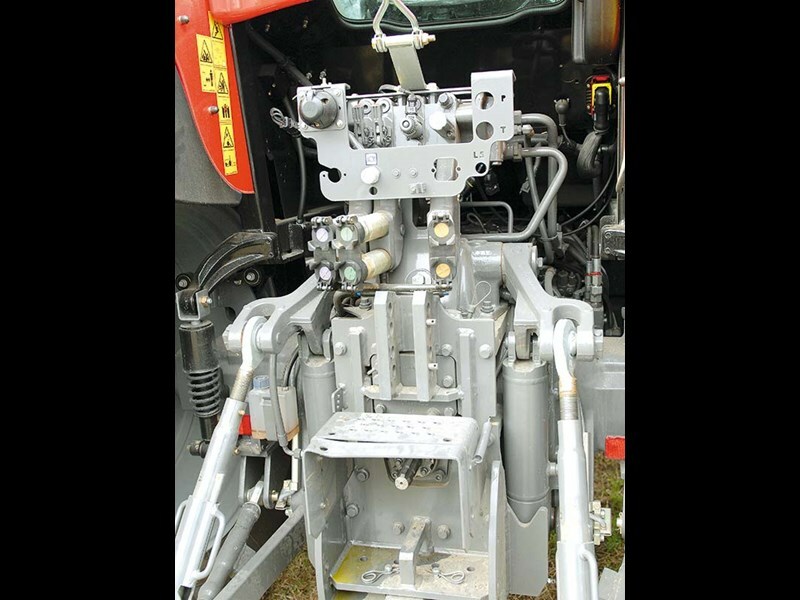 An example of this is the transmission, which can be used from four different locations in the cab: the left hand shuttle, the armrest 'T' stick, the joystick or the foot pedal when in auto mode. The 7615 was equipped with three remotes – two electronic and one manual as standard, although you can go to four spools all electric for an additional $1700 which seems very reasonable. The 110L/min Closed Centre Load Sensing (CCLS) swash plate pump was not the most powerful there, nor was that power beyond standard (it is optional), but this was the only machine where it was possible to operate the spools individually via the levers mounted externally, directly on the valve block. With max lift capacity of 8.6T this was by no means tested to its limit on the day. The linkage was well laid out and un-cluttered which made hitching the implements a doddle. The conventional top link holder was cursed at on a number of occasions and, to be honest, it was very good at holding the top link securely when not in use, but was in the road and at risk of being damaged when the top link was in use and at a good height for hitting your head on when hitching implements. The low-down design of the Massey – with very little weight above the half-way mark of the rear wheels (which was evident by the large amount of room between the cab and the chassis) – means excellent stability on hills. The longer wheel base of the six-cylinder machine felt well balanced and definitely aided traction. This machine did have 800-odd-kgs on the nose which helped with the heavy rear kit, although performance was pleasing given it was by no means the biggest hp rated tractor there. 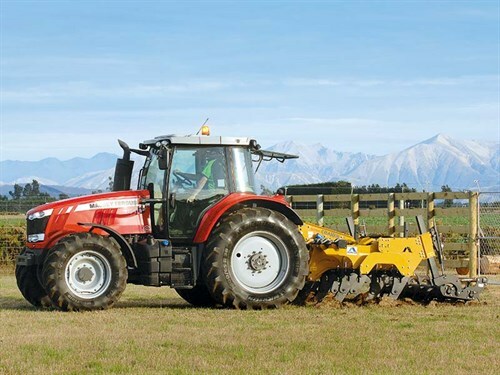 The key thing to remember with this tractor is that while it is neither the cheapest nor the most powerful of our top Tractor Shoot Out line-up, we felt it represented excellent value for money in terms of what the machine offers to a wide range of buyers. Only tractor to have electric spools including a joystick with gear and direction changes as standard. Read the full review in issue #217 of Farm Trader magazine. Subscribe here.